While we are firm believers that you can travel through North Carolina any time of the year, but we sure do love the growth and greenery that happens during spring! Flowers start to bloom, the days get warmer, and the whole state begins to buzz with festivals and events. So if you’re trying to figure out your weekends in March, April, and May, here are some awesome spring things to do in North Carolina. If you liked seeing our favorite spring things to do in North Carolina, check out our Travel section for fun throughout the year! 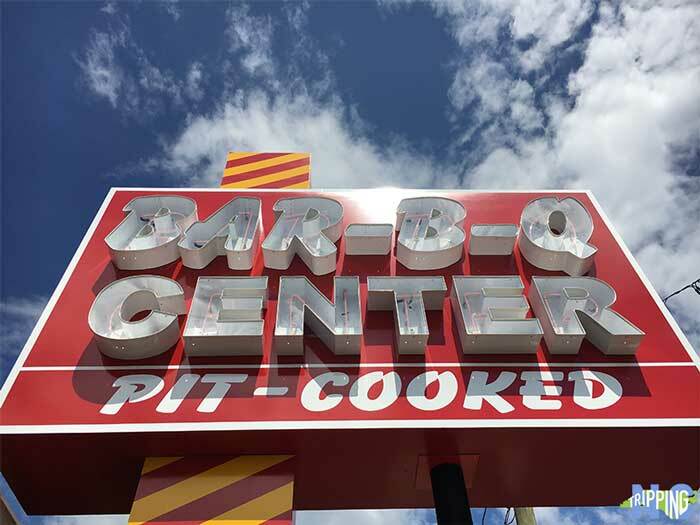 You think a town with a place called “Barbecue Center” can throw down a good festival? Regardless of which side you stand with, NC Barbecue is worth celebrating! And no better place to take in the smoky goodness than April’s BBQ Capital Cookoff in Downtown Lexington. Sample competition style ribs, chicken, brisket and pork during the KCBS-sanctioned event or gobble down treats from local and regional barbeque experts. We also mentioned the BBQ Capital Cookoff in our Things to Do in North Carolina in April. Hungry for more barbecue talk? Check out our conversation with KCBS legend Jerry Stephenson of Redneck BBQ Lab, as part of our People of NC series. Taste the Beach in The Outer Banks (March), which we also mentioned in our OBX off season guide. 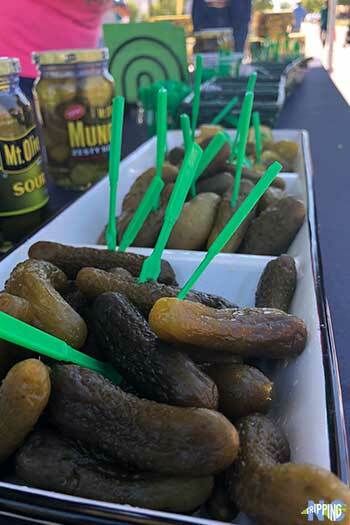 We swear a pickle festival is something you have to experience at least once in your lifetime. And North Carolina is home to the best! Hosted by none other than Mt. 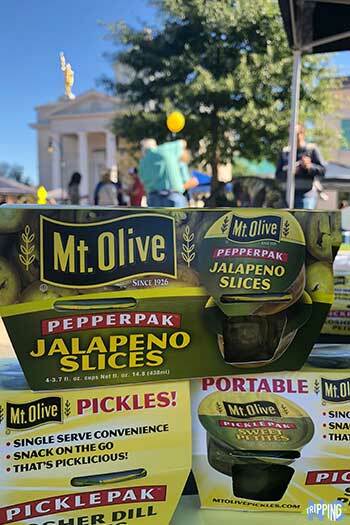 Olive Pickle Company, April’s NC Pickle Fest is a big dill! We promise you’ll have a good time! North Carolina Museum of Art in Raleigh literally explodes with life during the annual exhibit, “Art in Bloom”. 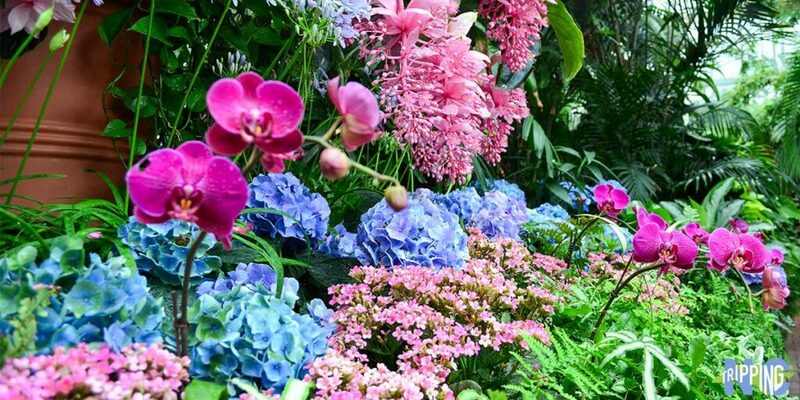 Over the course of four days in March, the museum features 50 floral interpretations and draws thousands of visitors. It’s an experience that can’t be missed! NC Museum of Art is not only a fun spring thing to do in North Carolina, but it’s one of North Carolina’s best museums throughout the year. We also think it’s a great way to enjoy a Day Date in Raleigh and winter in Oak City! 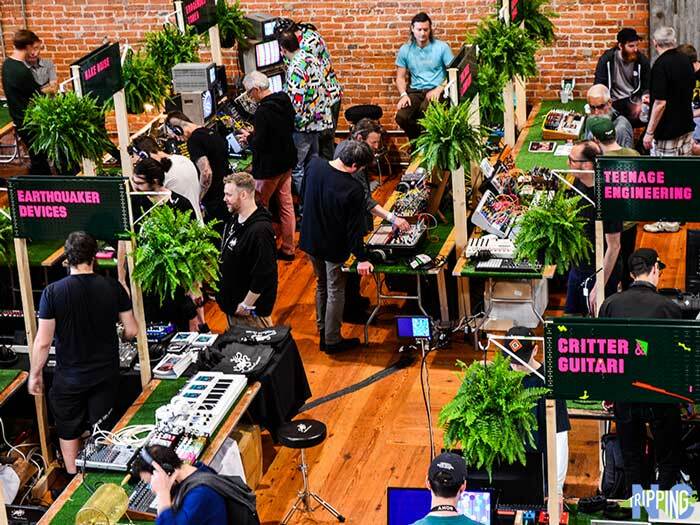 Innovation, music, and art all collide for Moogfest, which is one incredible event. Held in Durham, this April music festival is really for everyone, from the interested amateur to the professionals. Check out the free events or Modular Marketplace to get a festival pass to enjoy it all! Lectures, installations, performances, and hands-on workshops are all available. Read more about why we think Moogfest is for everyone. Considered to be one of the premier music festivals in the country, MerleFest showcases “traditional plus” music in memory of late Eddy Merle Watson, son of the American music legend Doc Watson. Musical performances mix traditional Appalachian/bluegrass with whatever else Merle felt like listening to. The April 2019 lineup in Wilkesboro includes names like The Avett Brothers, Tyler Childers, Molly Tuttle, and Brandi Carlile. We interviewed B Townes, also known as the Merlefest, and you can read about it here! Looking for more music in North Carolina? Don’t forget about Greensboro’s Carolina Blues Festival (May), too! Check back for more as we’ll keep updating here! 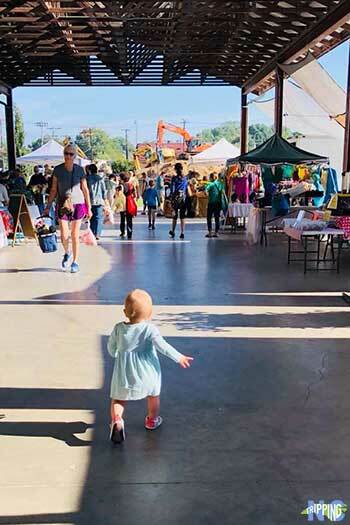 Our little one can’t wait for our next farmer’s market visit! Everything is in bloom and the ground is starting to thaw, which makes a farmer’s market visit one of our favorite spring things to do in North Carolina. 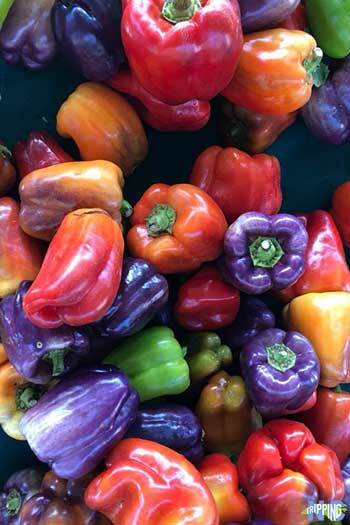 Most have a limited winter market, so spring is when they really start to open up and we start to feel alive again. Pick up some local cheeses or a fresh bouquet and support your local North Carolina farmers. North Carolina Farm Fresh, on behalf of the Department of Agriculture, put together this nice directory of our state’s farmer’s markets. Did you know that North Carolina is home to some pretty incredible rice, called “Carolina Gold?” It got that name because this West African-originated rice was the largest export and wealth producer in the 1800s. Rice so amazing that it’s sought after by many culinary geniuses to this day! Carolina Gold is celebrated each year in Leland during the North Carolina Rice Festival (postponed until 2020). 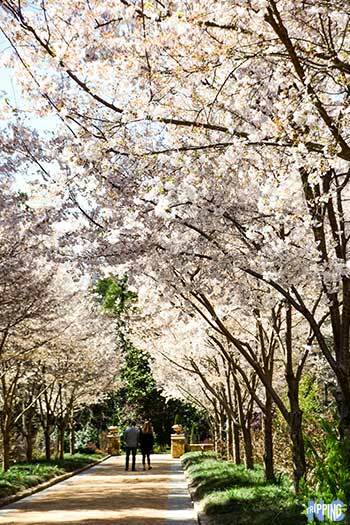 Hard to top those cherry blossoms at Sarah P. Duke Gardens. Biltmore Estate would like to try! 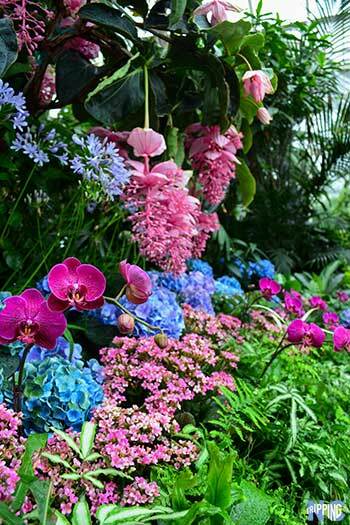 With beautiful gardens across North Carolina, we can assure that there is always something in bloom! Whether you’re basking in cherry blossoms at Sarah P. Duke Gardens, wandering the paths of Cape Fear Botanical Garden in Fayetteville, exploring Biltmore Estate’s beautiful flowers, or scoping out azaleas at the WRAL Gardens in Raleigh, we guarantee that spring is a beautiful time to be in NC! Speaking of azaleas, head down to Wilmington for a true celebration of the South with the NC Azalea Festival. It’s taken place every April for the past fifty years! Parades, festive galas, historic home tours, and lush gardens await. Don’t miss out on the concert series either, as big names like Hank Williams Jr. hit the stage. Watch as the Southern belles make their way to the annual garden party and enjoy the festivities! Did you NEED another reason to go to the Mountains? 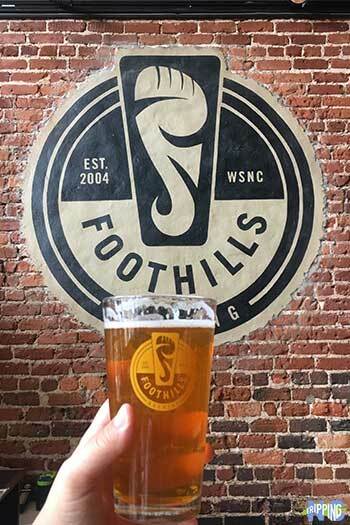 You’ll find Foothills throughout the state, but why not try at the source in Winston-Salem? What better what to celebrate North Carolina than to hop through some of their signature craft breweries! From prohibition to popping the alcohol limit, North Carolinians have made huge changes in how we drink and savor our beer. NC Beer month is in April and we’ve compiled our favorite North Carolina breweries you have to check out then and throughout the year! 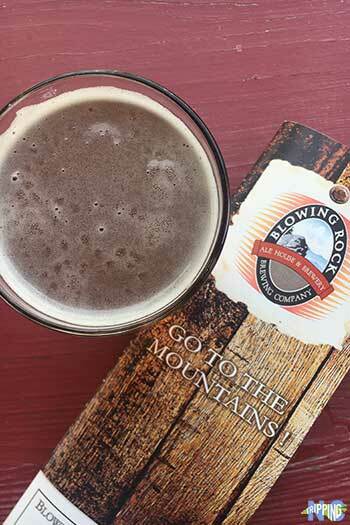 North Carolina Craft Beer & Breweries discusses the many breweries that you’ll find when traveling through North Carolina. Wings over Wayne is a free air show that occurs every two years in April. In collaboration with Goldsboro’s Seymour Johnson Air Force Base, the best of US Aviation attend breathtaking performances. Check out fighter jets on the ground or in the air for enthusiasts of all ages! We included Seymour Johnson AFB as part of our homage to the Four Ps of Goldsboro. What are the other three? There’s no better way celebrate spring than with the crack of the bat on opening day in April! 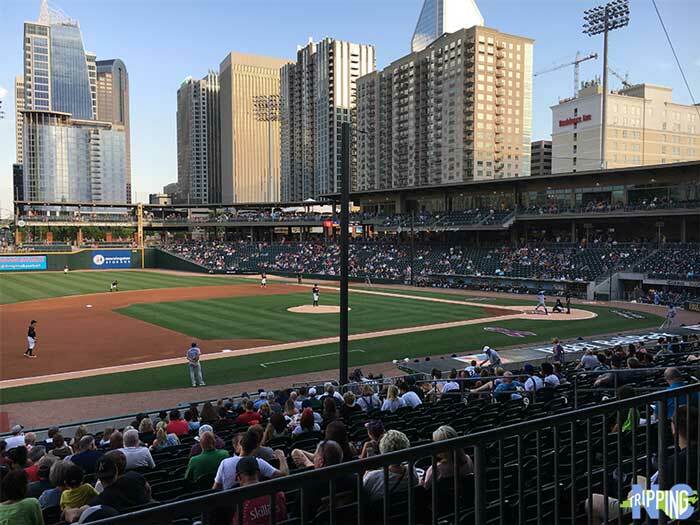 Grab a hot dog and a beer over third base and cheer on one of North Carolina’s 11 Minor League Baseball teams. Whether you’re hanging with Wool E. Bull at DBAP in Durham, getting Knighted in Charlotte, or being a Tourist in Asheville, there’s always a game going on. So what are you doing first during spring in North Carolina? There’s so much to do all throughout North Carolina in March, April, and May and we only scratched the surface on what there is to do. Is there anything that you would add? We look forward to hearing from you and can’t wait to enjoy these spring things to do in North Carolina ourselves! This entry was posted in Travel and tagged Durham, Fayetteville, Food, Goldsboro, Johnston County, Kure Beach, Leland, Lexington, Mount Olive, Raleigh, Smithfield, Sylva, The Outer Banks, Wilmington.